Happy late Sunday everyone! 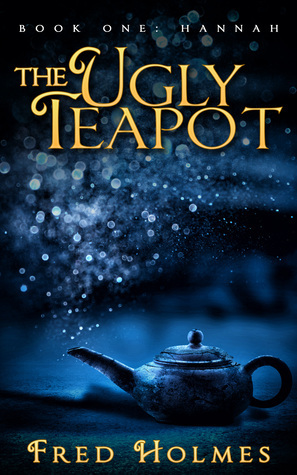 We have a special post today by Fred Holmes author of The Ugly Teapot. Enjoy! And thank you so much Fred Holmes for taking time to share your incredible story with us. In order to educate myself on how to write novels, I began by reading a lot of books on the process, and I spoke with my friends who were novelists. I also read a lot of children’s fiction. I’ve always loved reading, and I’ve always loved children’s literature; plus I’ve been fortunate to work on television shows that starred children. All of this helped. It also helped that screenplays and novels do share a common rule: “Show not tell”. Unfortunately, they’re also completely different in that novels are meant to be read and screenplays are meant to be filmed. Yeah, I know, duh...but what this means is that you only write down in a screenplay what the audience will see and/or hear. You do not dig deep into the characters’ psyche—that’s for the actors to portray, and the director to cover visually—and they both get really upset with you if you mess with their territory! This struck a chord with me. First, I really appreciated the praise; and second, I’d always wanted to write novels, I just never thought I could. Why? Well, the best analogy I can give you comes from some of my actor friends in Hollywood. A lot of them will tell you, “I’m only acting in television and films to make money. My goal is to be a star on Broadway where the real actors are.” And that, in a convoluted way, was my attitude about writing for television—the “real” writers were writing novels—and I was only writing screenplays. At the time, however, I was working in South Africa a lot and those seventeen hour plane rides to Cape Town gave me ample time to fuss around with the idea of writing a novel, and what came out of that fussing was THE UGLY TEAPOT. The story itself had an earlier germination. My brother had died of cancer at a very young age and his death had a devastating impact on me. At the time, I decided to funnel my grief into a screenplay (FIREFLIES), but I didn’t want to write a sad, depressing ode to my brother. He wouldn’t have liked that. So what did I write instead? I wrote an action/adventure film filled with magic and humor. When FIREFLIES metamorphosed into THE UGLY TEAPOT, I stayed true to my original story, but tried to make TEAPOT more “novel-like”. This required, for one thing, expanding my story. FIREFLIES was 110 pages long (normal for most screenplays, but too short for a middle-grade novel), so expanding it allowed me to flesh out my characters and situations. This was fun and intimidating at the same time, but I was helped along by the fact that I had kept most of my notes on character and plot from the original screenplay, and I had tons of material I’d been forced to cut from the screenplay in order to get it down to length. If you would like to know more about THE UGLY TEAPOT: HANNAH’S STORY, here are some links, including one to my YouTube video promo. The sequel will be out at the end of this year, and I hope you’ll check them both out. Thanks for listening! Thanks so much for the guest post! Beware of a sequel but good luck overall!